In 1939 Ralph Merriam established the company known today as Goddard Coatings Company. Ralph was a pioneer in the development of pavement sealers for asphalt surfaces and off street parking areas. This work was accomplished while he was living in Ohio. Longing to return to his hometown of Detroit, he started the first distributorship of the product he helped to develop. The business was purchased by the Goddard family in 1958. That name would become significant for its present company name. Also in 1958, Goddard Coatings surfaced their first tennis courts. Back then there were very few tennis courts requesting a color surfacing system. By the late 1960’s Goddard Coatings was becoming a major player in tennis court surfacing. However, it was not until 1974 that Goddard surfaced more than 300 tennis courts. Goddard Coatings still averages over 250 tennis court surfacings a year. Tennis court surfacing comes from many sources. Goddard Coatings has surfaced tennis courts at most of the major universities and colleges in the state of Michigan and northwest Ohio. In addition, Goddard Coatings has surfaced tennis courts at country clubs, swim clubs, school systems, park departments and residential home owners. Goddard Coatings joined the U.S. Tennis Court and Track Builders Association in 1973, which is now known as the American Sports Builders Association. After joining the association and developing a network of industry experts, Goddard Coatings installed its first rubberized asphalt running track in the late 1970’s. Soon after in the mid-1980’s, Goddard Coatings was installing several latex running tracks each summer in Michigan. Today, Goddard Coatings installs various running tracks systems, from latex to full pour polyurethane systems, all over the Midwest. 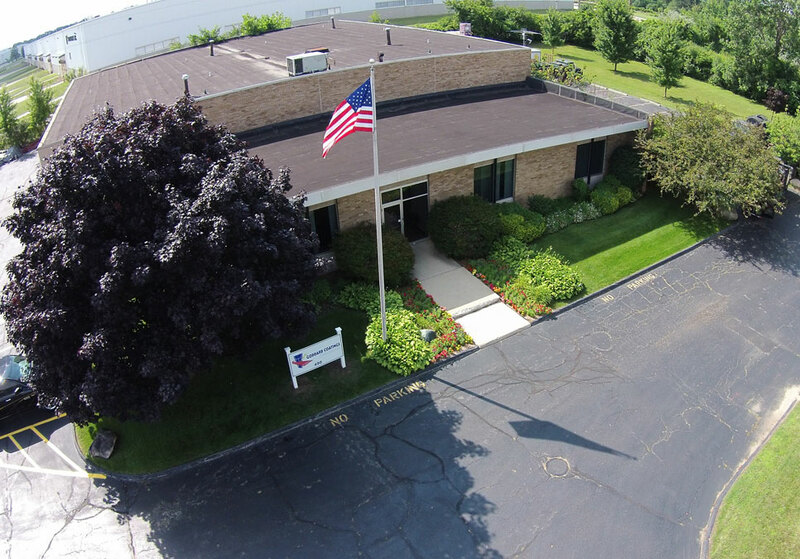 While the Merriam and Goddard families are no longer involved with Goddard Coatings, its present ownership has been in place since 1980 with the same strong dedication to high quality and customer service that began way back in 1939.